We appreciate your interest in AMC's Group Sales Program! Can I rent a party room? Not all theatres will have a party room. If you would like to inquire about the use/availability of a party room, please contact the theatre directly. Can I pay at the theatre? No, all payments must be made in advance through the AMC group sales team via the below contact information. Do chaperones need to purchase a ticket? Yes, chaperones must be included in the total amount of guests. The ticket price will be the same for the entire group. When should we arrive at the theatre? Please have all group participants arrive at least 30 minutes prior to your scheduled showtime. How early do we need to book our group? All groups must be booked at least one full week prior to your event. Booking a group with this program means that you will be attending dedicated showtimes. This means that only participants of this program will be permitted to attend the showtimes. Tickets will not be open to the public. You will also have the opportunity to purchase our discounted kid's packs (drink, popcorn, candy) at $4.36 apiece. What if I am not sure of my final number? 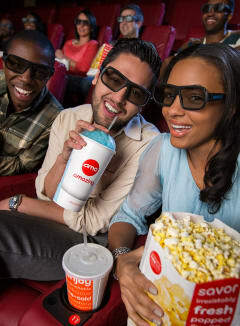 Group cancellations must be submitted to BookYourGroup@AMCTheatres.com one full week prior to your scheduled showtime to receive a full refund. Canceling less than one week prior to scheduled event will result in a 50% cancellation fee. Refunds will not be issued after each scheduled event has commenced. How do I collect my tickets and kids packs? When you arrive at the theatre, there will be an envelope with your tickets and a receipt for your kids' packs. A theatre associate will be designated to the groups participating in this program. They will assure that your kid's packs are prepared before you arrive and will help your group find your seats. Will my seats be reserved? Not all of our locations have reserved seating. If it is a reserved seating location, the manager ringing the tickets will put your whole group together. If not, you should plan to arrive early and save seats. In all cases, we suggest that groups arrive thirty minutes early. What if I want to add tickets on the day of the show? As long as our theatre still has seats remaining, you can purchase extra tickets at the box office on the day of the event. What if I want to go on a different date, showtime or location that is not offered? In the case that you would prefer to see the movie at a different location, time or on a different date, please complete our general group sales request form. Am I allowed to bring in outside food or drink? We do not permit outside food in our theatres. AMC goes far beyond classic concessions like popcorn and fountain drinks to give you an absolutely appetizing experience. We're always innovating and exploring new ways to bring the best food and drinks to our theatres. Please click here to explore our various concession offerings. For questions or to make changes to your reservation, please contact AMC's group sales team via BookYourGroup@AMCTheatres.comor at 913-213-2021.